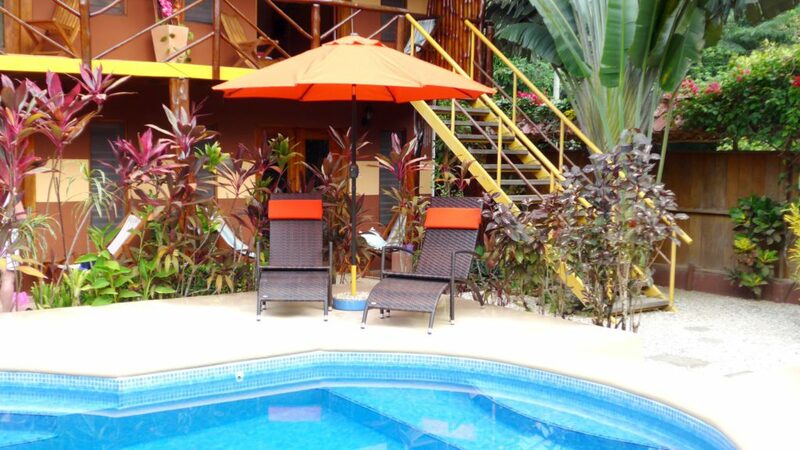 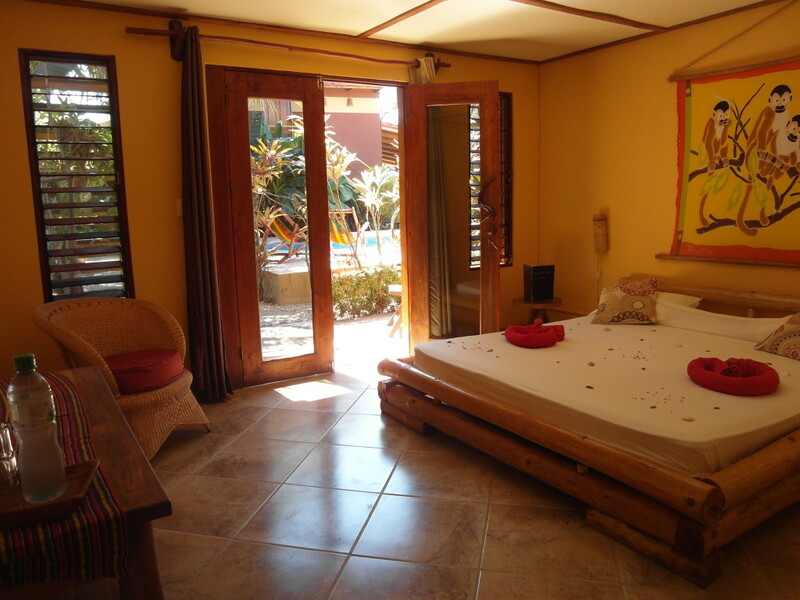 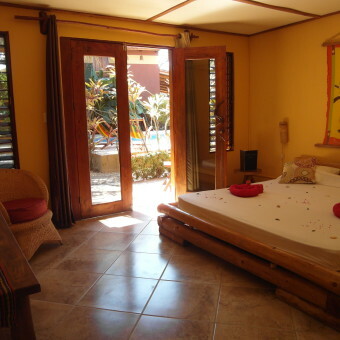 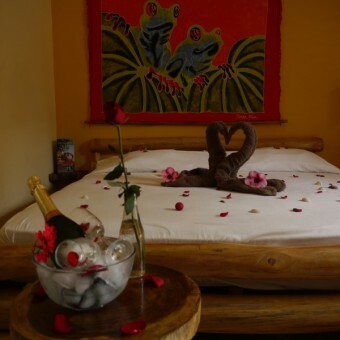 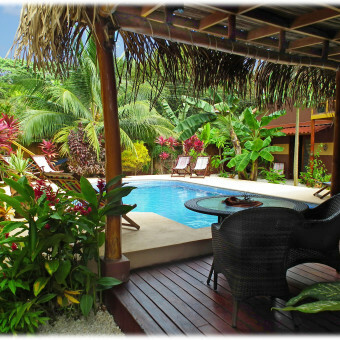 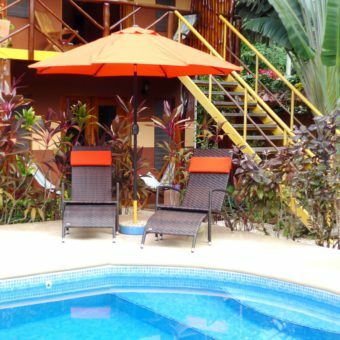 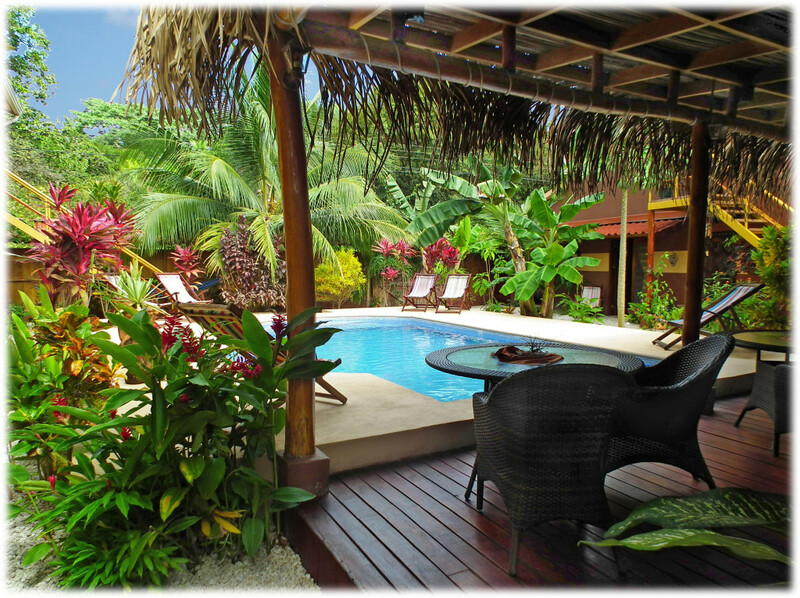 The Lodge is situated only a few minutes' walk to the village of Samara and nearby beach. 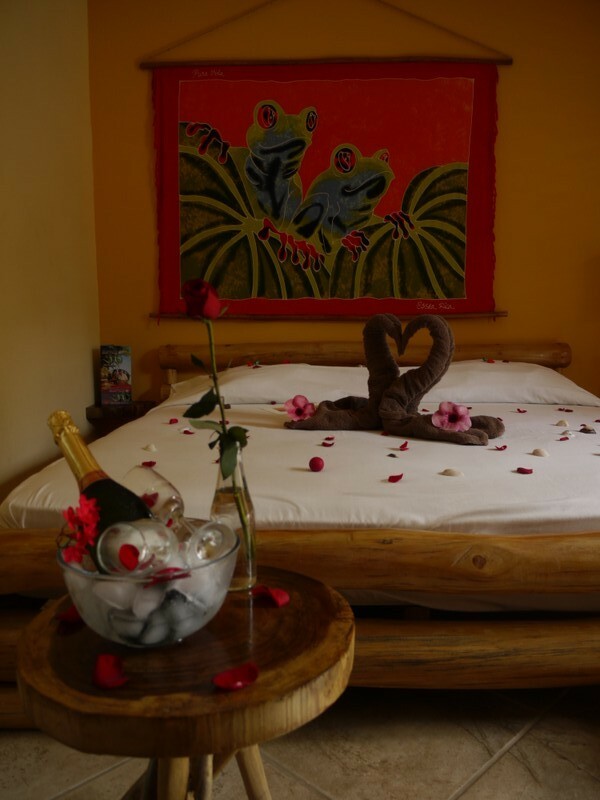 We know how important holidays are for you, and we promise you an unforgettable, lovely stay at our Lodge --- Tauchen sie mit uns ein ins "Pura Vida" und geniessen sie ihren unvergesslichen Aufenthalt bei uns in der Samara Palm Lodge! 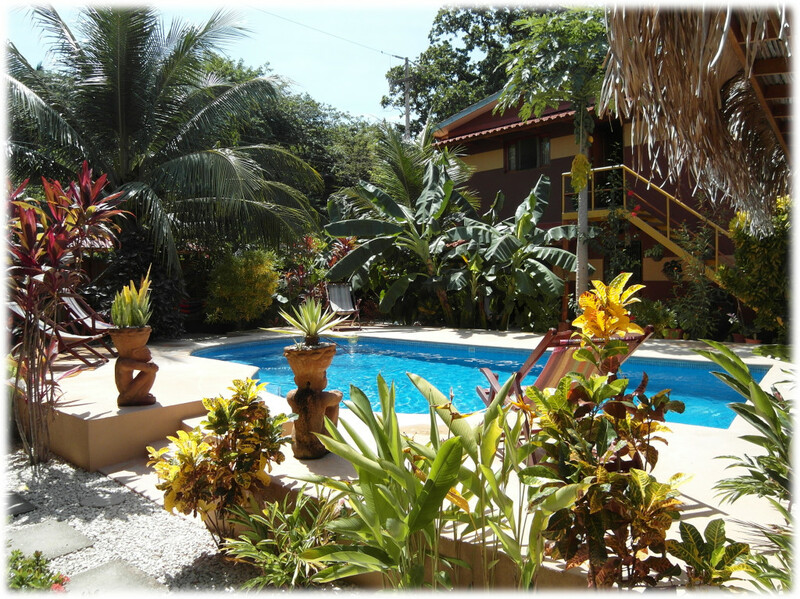 Charming, small guesthouse in Playa Sámara only 7 minutes from the center and around 5 minutes from the beautiful palm beach. 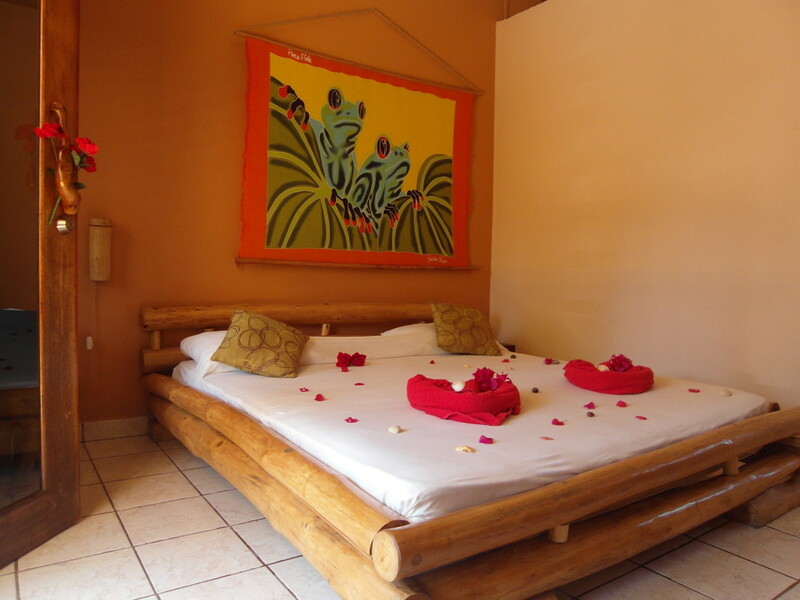 We offer 8 comfortable and tastefully decorated rooms facing the garden, and with a view of the pool and the Lounge. 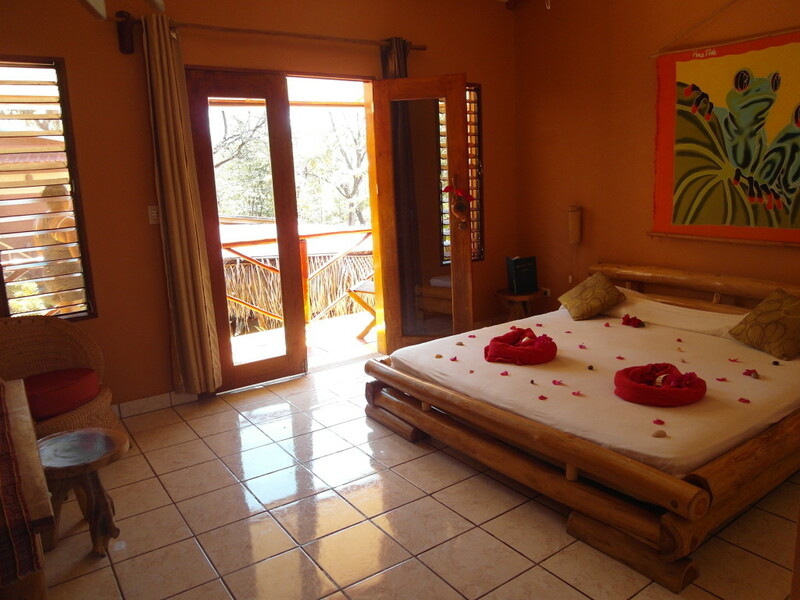 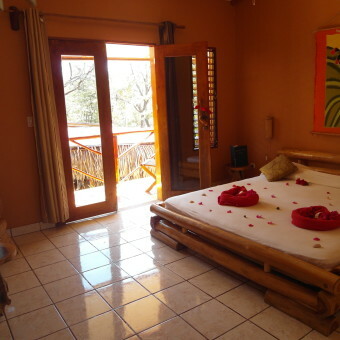 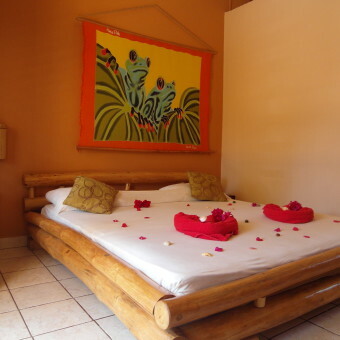 All the rooms are equipped with A/C or a ceiling fan, private bathroom with hot water and Wireless internet. 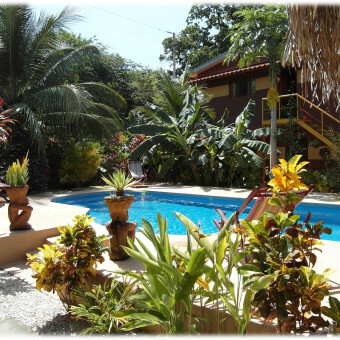 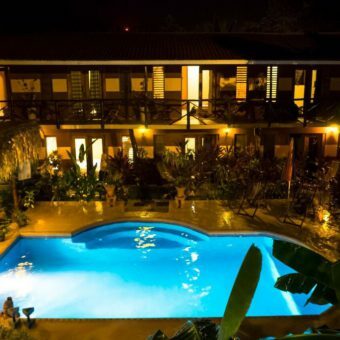 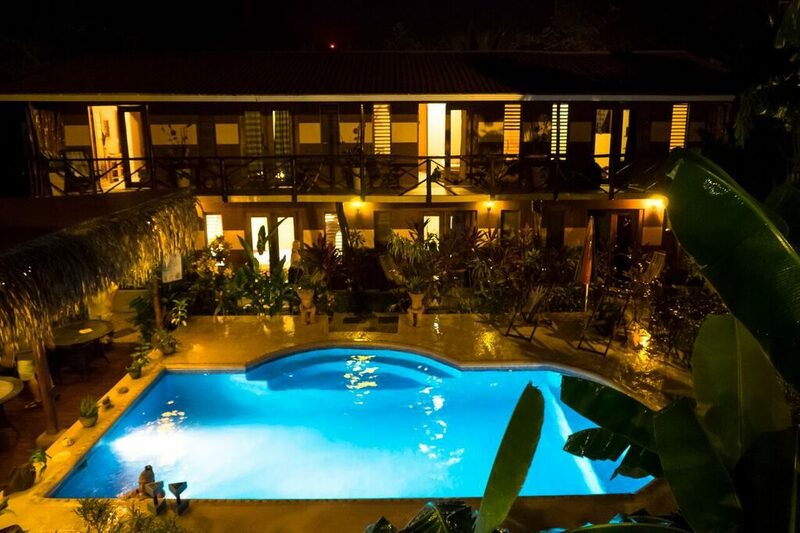 We offer private parking spaces, Lounge with Honesty Bar, Pool with garden area and free WiFi.